Knights of Columbus Council 5476 is the host sponsor for the St. Bridget Catholic Church recurring Blood Drive. The American Red Cross absorbed Virginia Blood Services in 2018, and we are now working closely with them to continue our tradition of giving life by donating Blood. You can sign up in advance, online, or simply walk-in the day of the drive. We set up a donation center adjacent to the parish commons several times a year, and work hard to solicit participation from our parish. Notifications will be provide on the Church website calendar, and through the Church Bulletin. Please consider giving! A blood donor is a special kind of volunteer; by committing about an hour of your time, you can donate a gift more precious than time or money: the gift of life through blood. One donation of blood can help support up to three patients’ lives. The American Red Cross (ARC) is the nonprofit provider of blood products to area hospitals. 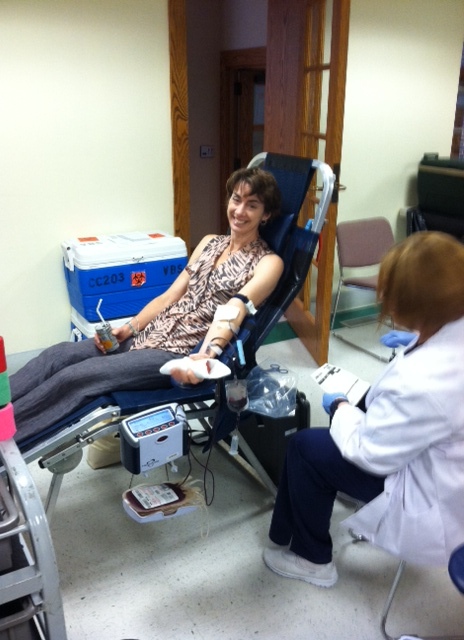 When donors give blood with the ARC, you are supporting patients in need of blood every day. Your will actually be saving lives with your blood donation. It’s a powerful concept to consider. Hopefully you will think about helping with this endeavor too. Thank you! Thank you both for the blood drive yesterday. We registered 12 people and collected 12 units. I think there was a lot going on which may have taken away from the blood drive – as well as nice weather after a week of rain! Thank you both for all you do and I hope you have a great week! John – if you and Ann want to come donate at the center let me know. I also have some other community blood drives this week if that works better. Thank you so much for the blood drive yesterday. We did very well. We registered 20 people and brought back 18 units. This is a huge help as we head into the holidays! I stopped by for a bit and it was great to see such a crowd – thank you both for all you have done for this entire year! Merry Christmas to both of you and your families! !